PADI/SSI Diving Courses and Similan Islands liveaboards in Khao Lak. Daytrips for diving and snorkeling from Khao Lak to Similan Islands. Small private groups and personal service guaranteed with Scandinavian Diveteam. We offer diving and snorkeling experiences in English and all Scandinavian languages. You can do a PADI/SSI scuba diving course in the Similan Islands or, if you are already certified, just fun dive with us in one of the World’s top 10 dive areas. Our comfortable and roomy liveaboards MV Manta Queen and MV Vilai Samut cruise the Similan Islands, Koh Bon, Koh Tachai and Richelieu Rock on 3 and 4 day trips. Prices from 17,400 THB, all inclusive. > Diving in Similan Islands on MV Manta Queen from Khao Lak - Trip plan 2012-13! > Diving in Similan Islands on MV Vilai Samut from Khao Lak - Trip plan 2012-13! PADI/SSI Diving courses on Similans Island Liveaboard trip is our speciality for new and returning guests, from Open Water to Advanced Diver with PADI/SSI Instructors from Scandinavian Diveteam on Similan, Koh Bon, Koh Tachai and Richelieu Rock – Thailand’s most awesome dive sites with the biggest diversity of marinelife anywhere in Thailand. Diving in Khao Lak at its aboslute best! > PADI & SSI scuba diving courses on Similan Island Liveaboards from Khao Lak - Read more! PADI/SSI Open Water Diver course in Khao Lak is where you want to take your first dive certification and this course is for you. It takes four days to complete the course. You can choose to complete the course on our liveboard trips or do the course based in Khao Lak. > PADI/SSI Open Water Diver course in Khao Lak - Read more! > PADI/SSI Open Water Diving course on Similan Liveaboard from Khao Lak - Read more! PADI Diving courses in Koh Tao is where we work with Ban's Diving Resort at our base in the Gulf of Thailand and the most popular diving area to complete your PADI Open Water Diver course. Koh Tao is a beautiful island with easy forgiving diving conditions and amazing fish and corals on the local divesites. The perfect environment for your first steps into the underwater World. 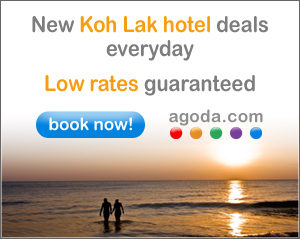 Join us for a funfilled experience in Koh Tao! > PADI Scuba Diving courses in Koh Tao - Read more! Diving daytrips to Similan Islands is a great way to experience the divesites of the Andaman Sea if you dont have time for a full liveaboard trip. All our diving daytrips are with speedboat and only 70 min cruise time to the divesites. Diving daytrip with 2 dives to Similan Islands including food, transfer form hotel, all equipment and Similan park fees. > Diving daytrips to Similan Islands from Khao Lak - Read more! Snorkeling daytrips to Similan Islands from Khao Lak, Thailand is an easy way to experience the amazing nature above and below the water. We offer snorkeling trips with speedboat from Khao Lak to Similan Islandswith speedboat, a short 70 min cruise away. Spend your time snorkeling or sunbathing on the pristine beaches and swim with seaturtles, a common experience on our trips. You have the option to spend one or more days in the Simlans, overnight on one of our liveaboard permanently crusing the islands. > Snorkeling Trips to Similan Islands from Khao Lak - Read more! NEWS: Luxury Liveaboard Diving to Similan Islands on MV Pawara! Luxury liveaboard diving trips til Similan Islands on MV Pawara is our latest addition for this season. We offer 4 days/nights liveaboard cruises of the highest standard in the Andaman Sea. The vessel is top of the line liveaboard cruiser with only the best service and facilities. MV Pawara is for divers who enjoy high levels of comfort and the ultimate cruising experience. This is Business Class for scuba divers! NEWS: Liveaboard Diving to Phi Phi Islands and South Andaman Sea! Liveaboard diving to Phi Phi Islands and the South Andaman Sea on MV Manta Queen IV is our latest destination for this year. We offer 2-4 days / nights liveaboard diving to Koh Phi Phi and the South Andaman Sea. Manta Queen IV is our newest liveaboard and 25 meters in lenght, with twin, double and ensuite cabins with own toilet and showers. Below you can find links to all information you will need if you haven’t dived in The Similan Islands on a liveaboard before. We also cooperate with other liveaboards, write us for more info. Please feel free to contact us with further queries before departing for Thailand. We are here to help! When diving with Enriched Air Nitrox in you tank, you prolong you dive time because you absorb less Nitrogen during your dive. We decrease the amount of Nitrogen and replace it with Oxygen and thereby extend our no decompression limit by up to 50%. The high Oxygen level will also freshen you up! Rather than getting tired after a few dives, you’ll feel rejuvenated – and you’ll increase you safety. The Enriched Air Nitrox course takes a few days to complete and can easily be combined with another dive course on the live aboard. > Info about our NITROX-courses! Our Underwater Photo Workshops is particularly aimed at the amateur photographer who has already played around with an underwater camera. You will learn to make full use of all the functions of the compact camera, so you’ll be able to shoot spectacularl colorful underwater. Our Underwater Photo Workshops are only held on our liveaboard trips, with a maximum of 4 participants per course. This way we can better maximize the learning experience for the individual participant. Combine your PADI Open Water Diving course in Koh Tao with a Similan Liveaboard Safari! SCANDINAVIAN DIVE TEAM is based on Koh Tao where we teach diving to all nationalities. Combine your scuba diving course with an unforgettable dive safari and liveaboard in The Similan Islands at a very good rate. This combination is ideal if you wish to complete your dive course in Koh Tao and afterwards dive with already certified friends and family aboard M/V Manta Queen or MV Vilai Samut. Together you can experience some of the world’s best diving with Whale Sharks, Manta Rays, Turtles, Leopard Sharks and Octopus among many others. The first level is the PADI Open Water Diver and is the most recognized diving course in the World. Welcome to Scandinavian Dive Team - Thailand! We are based on Koh Tao in Thailand; therefore you can book your PADI dive course/dive certificate (9.800 bath) with us on relatively short notice. The same goes for your accommodation which is favorable with your PADI scuba diving course - Standard double room with Fan is about 200 Thai Bath pr. Night. If you would like a more comfortable level of accommodation during your course, with hot shower, TV and Aircon, we can arrange that for about 500+ Thai Bath, depending on season. Typically the rates are higher from Christmas/New Years to April and again in July through August. If you need accommodation during your course, we can easily arrange that for you. Just send us a mail with your wishes and we’ll handle it. We also arrange your transport from the harbor to your resort. We are looking forward to dive with you!